The Hanoitimes� – Investors are concerned about a low return on investments in oil and gas projects in Vietnam. The government should promptly revise financial regulations and incentive policies applied for the petroleum industry to make it more attractive to foreign investors, experts said. According to statistics released recently by international energy research and consultancy firm Wood Mackenzie, in Vietnam’s petroleum contracts, the government gets a return of 85 percent of the project’s revenue, much higher than the rate of 75-80 percent in other regional countries and 60 percent around the world. This means that pouring money into oil and gas projects in Vietnam, investors will get a very low return. The regulation has caused the country’s petroleum projects less attractive to foreign investors, especially in the context of a sharp decline in the oil price, experts said, adding that it therefore should be amended as soon as possible� to harmonize interests of the host country and the investors. According to Nguyen Van Phuc, former deputy chairman of the National Assembly’s Economic Committee, the oil and gas industry play a key role in energy security, macro-economic balance, national defense and foreign affairs. However, the legal framework for the oil and gas industry proves outdated and is no longer appropriate to promote the industry’s development. Despite being amended in 2000 and 2008, the current Law on Petroleum only regulates upstream operation (exploration and production) and does not mention midstream (transportation, storage and wholesale marketing) or downstream operation (refining and distribution), Phuc said, adding that due to the inadequate legal framework, it is difficult to attract investment in the oil and gas value chain. Echoing Phuc, Tran Kim Chung, deputy director of the Central Institute for Economic Management, said that the oil and gas industry was one of the key industries in Vietnam’s marine economic development strategy. He emphasized that the strategy can be implemented if there is an appropriate legal framework and a special financial mechanism to promote the development of the key industries. Chung said besides amendments to the Law on Petroleum, it was necessary to develop a financial mechanism for the oil and gas industry for the medium- and long-term future. Besides, experts said that the oil and gas industry contributes significantly to the state budget but only receives inadequate State investments. The government should provide investments to help the industry implement the marine economic development strategy, said Nghiem Vu Khai, deputy chairman of the Vietnam Union of Science and Technology Associations. It is necessary to set up a fund to promote the development of petroleum technology, Khai added.. Under the development strategy of the oil and gas industry towards 2025, the industry aims to annually increase oil and gas storage to 35-40 million tons, and oil and gas exploitation by 10-36 percent for each five-year period, of which the exploitation from overseas oil fields must be 3 to 5 times higher than the current levels. The industry, therefore, needs to attract foreign investments to meet the targets as domestic funds are limited. 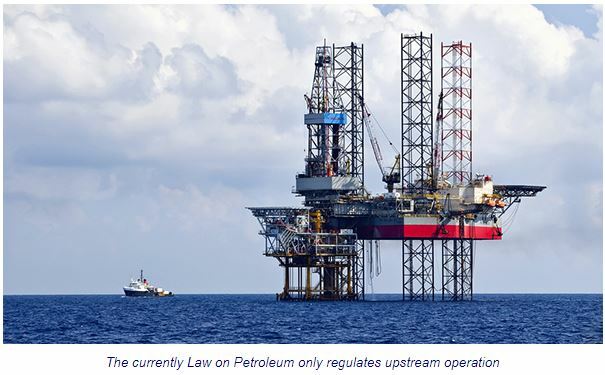 Pham Xuan Canh, a member of the Vietnam National Oil and Gas Group (PVN)’s Board of Directors, said policies to attract both foreign and domestic investment needed to be introduced, especially policies to create financial mechanisms for exploration. In order to convince foreign investors to take a risk on exploration, Nguyen Vu Truong Son, PVN general director, proposed the National Assembly to amend the Law on Petroleum with provisions allowing PVN to use 50 percent of its post-tax profits to finance its operations and contribute to the state budget through exploration. Besides, Son said, the policy for attracting foreign investment must be revised to bring the production sharing contract in line with the country’s priorities.